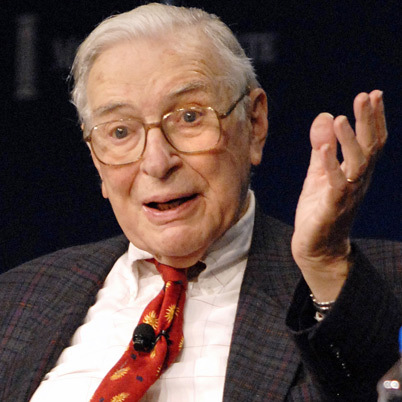 Kenneth Joseph Arrow was the 1972 Nobel Prize winner in economics, Kenneth Arrow began his academic career on the research staff of the Comles Commission in Chicago and later taught at Stanford and Harvard. He has done much important work on economic equilibrium analysis, applying the mathematical theory of convex sets and has contributed to the theories of growth and decision. His best known work is his analysis of voting processes, Social Choice and Individual Values (lost) in which he tried to mathematically demonstrate that voting processes would result in a socially desirable composition of government. However, the “Arrow Possibility Theorem” concludes that perfectly responsive representative government of this kind is not possible. Arrow’s other publications includes General Comparative Analysis with F.H. Hahn (1971) and Essays in the Theory of Risk Bearing (1971).